Studio B features a 2 person booth and a control that will comfortably seat 6 people. This studio has all the capabilities of Studio A but it’s a smaller space. It’s fully set up for remotes, skype recording, or in studio recording. 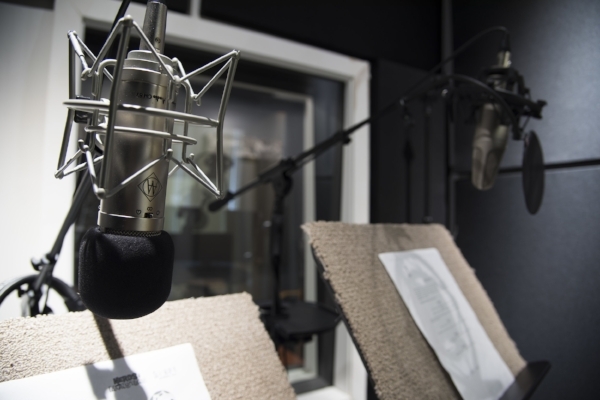 It has all the capability to record Voice-Over for dubbing, narration, and commercials. It’s an excellent space for recording auditions. 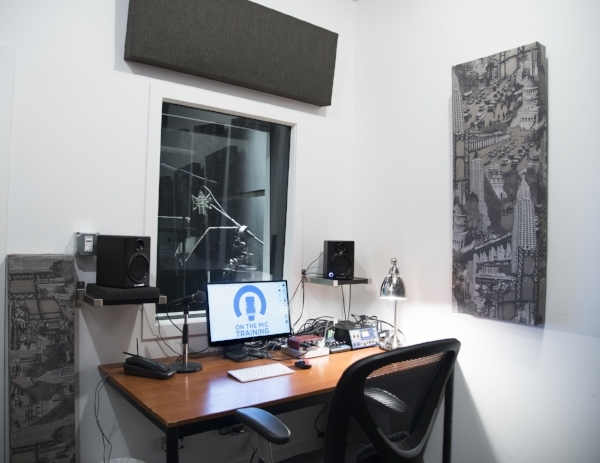 This studio can be rented with or without an engineer depending on your needs and capabilities.